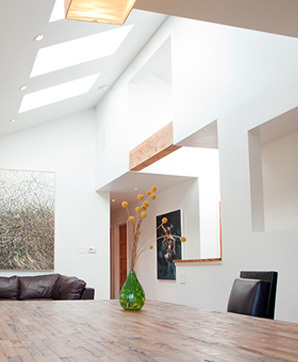 The existing flat ceiling of renowned artist Eric Zener’s home was in conflict with his inspirations of nature and natural light. To bring the beauty of the outdoors inside, we removed existing structural elements and replaced them with heavy beams and a vaulted ceiling, including light wells. 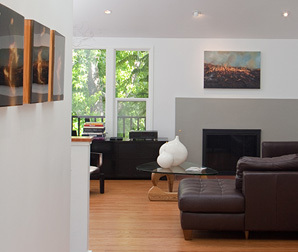 The transformed space now emulates the sensibilities of the owners with its bright, clean and inviting feel.